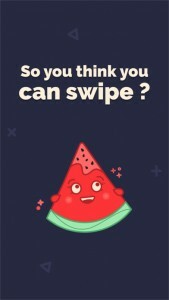 ELEMELONS- TAKE THE CHALLENGE TO SWIPE MELONS! If you like matching puzzle games, then Elemelons is the latest match to your query. The iOS app has been developed by Von Andrea Probst. The app is compatible with iPhone, iPod touch and iPad and requires iOS 9.0 or any later version of the OS. Now what is Elemelons all about? It’s a matching puzzle game where you have to match 4 melons of different colors to the respective color of the wall. The concept of the game is very simple and easy to understand. 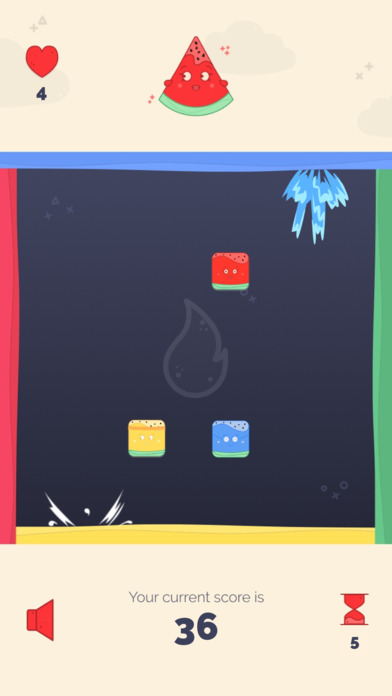 Talking about the display of the game, the four different colored melons (green, red, yellow and blue) will appear in the middle of the screen and each side of the screen is of different color. The melons should be swiped to their corresponding color side to get scores. The game continues this way and this is the basic gameplay. There is a story behind this amazing puzzle game. At some time in the past, a curse fell on Earth due to the vanity of the human being and because of all their time spent on social networks. The planet was dissolved and its guardians cringed as the four melons. These melons were of different colors and were named as Earthmelon, Firemelon, Airmelon and of course, Watermelon. All of them were having a unique quality inspired by the most popular social media influencers. As you start the game, you’ll be provided with 10 timer boosts to slow down the speed of the Elemelons so that you can easily swipe them. You have to use them wisely, as they are limited in stock. You will get some lives and if all of them are used and still your score is high and you want to continue the game, then you can watch a video to get a second chance or you can say one extra life. You can compete with other players in this game and beat the highest scores. There are instructions given in the gameplay, which provides you all the information about how to play the game and how to use the power-ups. The game is easy to use and you’ll enjoy playing this simple and fun game.The graphics of the game are natural which are enough to attract a player. The sound effects are smooth, simple yet attractive, especially when the melons are swiped on a wrong side. The interesting thing which is added to the game is that, after completing a level, you can share your High score with a selfie. 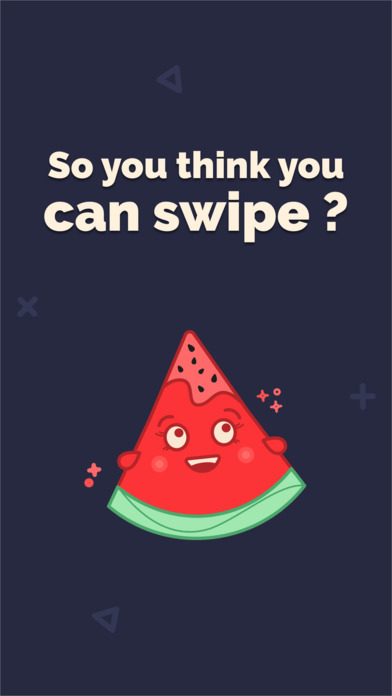 So, Elemelons is a game which tests your thinking as well as swiping skills. It’s an interesting matching puzzle game which is different from all other puzzle games. 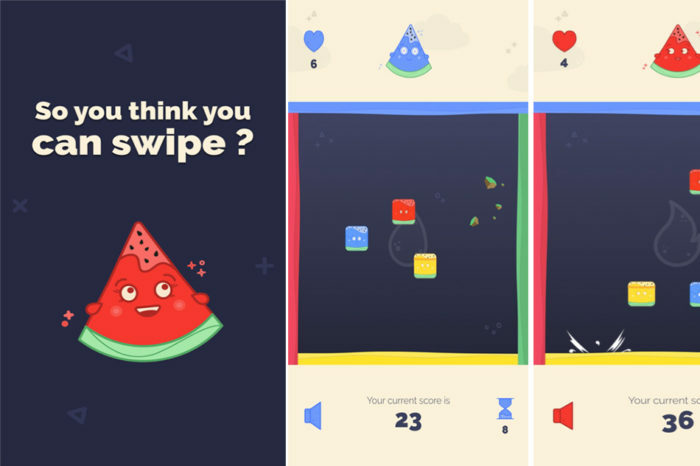 It’s really a challenging game for those who assures that they are good in swiping. This game is not recommended for children as it shows advertisements and videos that are not meant for them. So, if you are an adult and want to enjoy this amazing puzzle, then go for it! Swipe and save all elemelons! Pros: funny characters; challenging; easy to use; cool graphics; selfie shot with melons; good sound effects; free. I give this app 4.1 out of 5 stars. 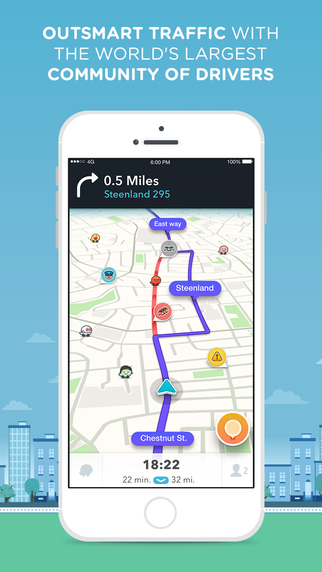 Waze for iPhone is the world’s largest community-based traffic and navigation app. One could join drivers in your area who share real-time traffic & road info to save time, gas money, and easily improve daily commuting for all. 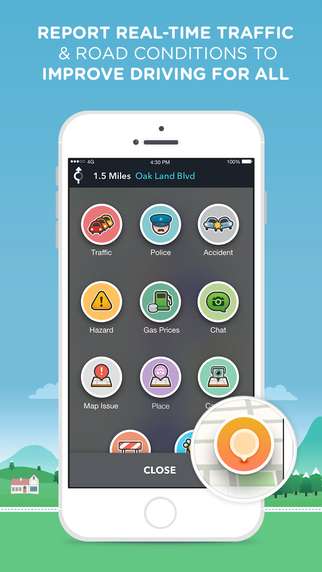 It is enumerated that just by driving with Waze open; you’re already contributing lots of real-time traffic details to your local community. The users could also actively report accidents, police traps and other hazards you view on the road. The users could simply get road alerts along your route and search the cheapest gas prices around you shared by the qualitative community. In addition you could add friends, send locations or keep others posted on your arrival time. In latest news stating that Waze update for iPhone is strongly focus to take the stress out of planning the perfect departure time to make sure that you’re never late. Moreover the planned drives works best when you grant Waze access to your calendar and/or Facebook so that all of your valuable appointments automatically become Planned Drives. From there, Waze professionally handles the heavy lifting by notifying you at the perfect time to leave based on travel time and present real-time traffic reports from other passionate Waze users. 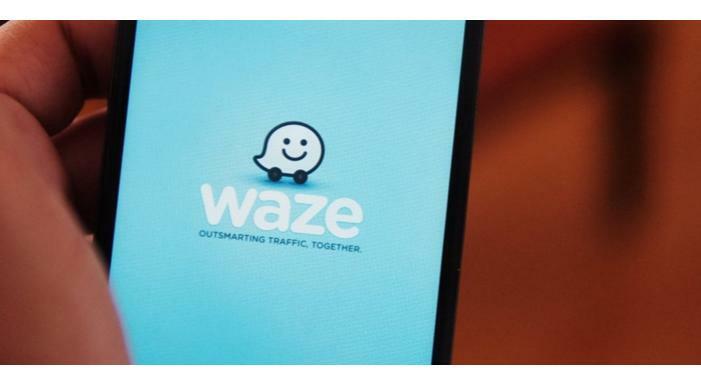 For a pro-level commute, the users could even utilize Waze’s ‘Send ETA’ feature to alert others of your arrival time based on your present pace and traffic reports.The feature is currently only available for iOS users but an Android version is hoping to arrive soon. There are many beneficial features respectively as live routing based on community driven, real-time traffic & road info, Community reported alerts comprising accidents, hazards, police traps, road closures, and more. You could also turn-by-turn voice guided navigation. Moreover the live maps are consistently edited and updated by Waze community map editors. There is also automatic rerouting as conditions change on the road. Eventually this popular app would benefit users in many ways.